After the Fundamental set that offers the possibility to do a whole face and eye look, here comes a second and new batch of brushes. With these brushes I wanted to cover specific needs or a slightly different approach to make-up application that I felt was worth experimenting! I was inspired by my own preferences. I wanted fuller brushes, more control, more precision, also during the whole process I have kept in mind all the emails that I received since the very beginning of my blog, asking me to recommend a brush for a particular usage and when I pictured that brush in my mind and I could not find it anywhere, this was my priority: to cover the blanks. 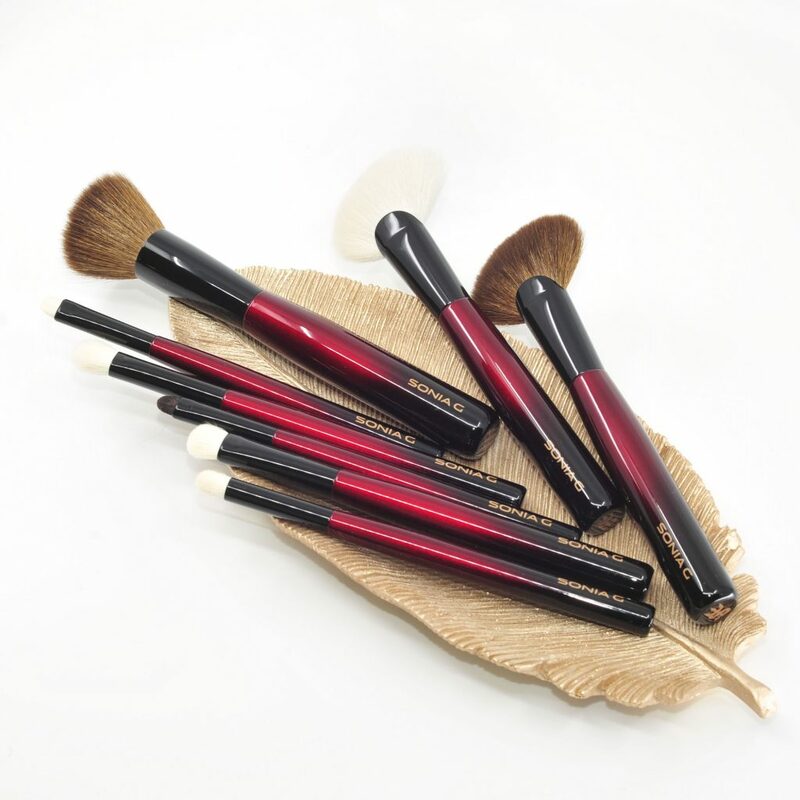 I believe the appropriate brushes can help and make a difference to revive some of the products we aren’t enjoying anymore, give those a second chance and remind us why we got them in the first place. These brushes target a smaller audience due to their very specific shape and usage but my dream is to stimulate creativity and to break the routine. Also, as we get older and skin changes, it becomes more tricky to apply make-up. 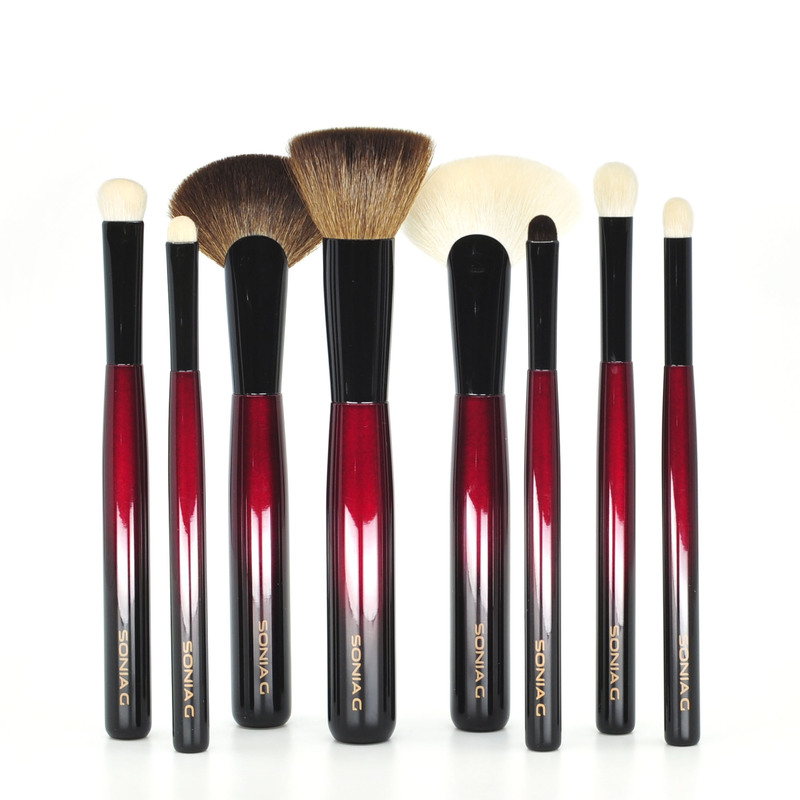 We need brushes that are soft and effortless, that deliver control with smooth precision. This is really important, we may love bold colours and strong shimmers but we need tools that help us and that apply those products easily only where we want them! Some prefer squirrel bristles, or undyed goat bristles, others will only consider easier maintenance with dyed and durable bristles, I replicated some of the brushes with a different type of bristle or a slightly different shape for those specific reasons. This second batch of brushes will not be sold as a set because they don’t work as a set, based on your own products or preferences you would pick the one(s) that applies the best to YOU .